2. 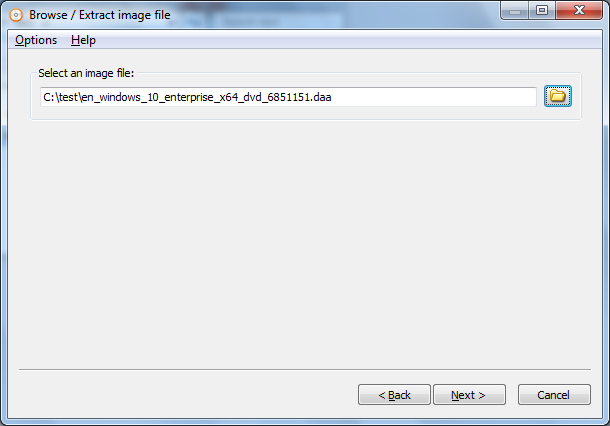 Click browse button and navigate to the image file you want to extract, and Click "Open" to select the file. 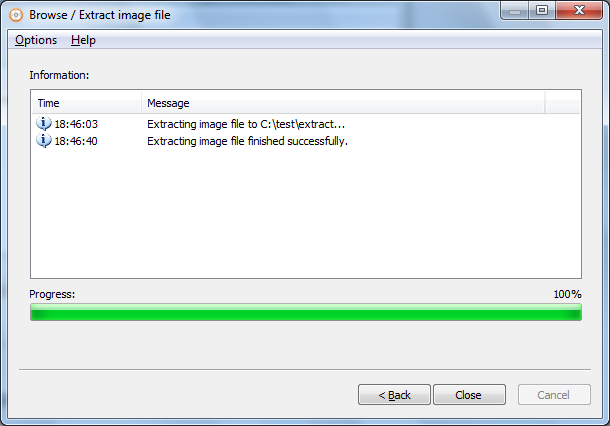 AnyBurn can automatically detect image format before opening it. 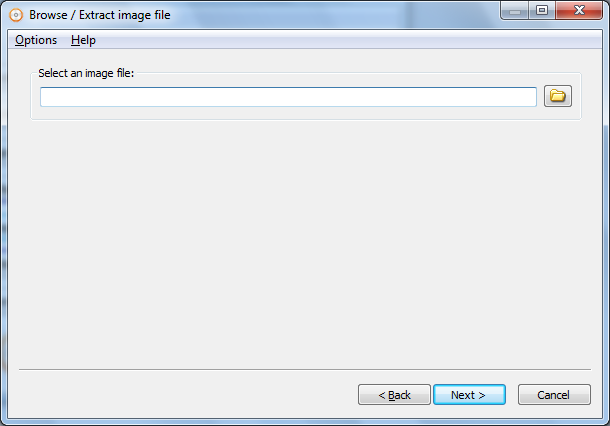 After the image file has been selected, click "Next" button. 3. 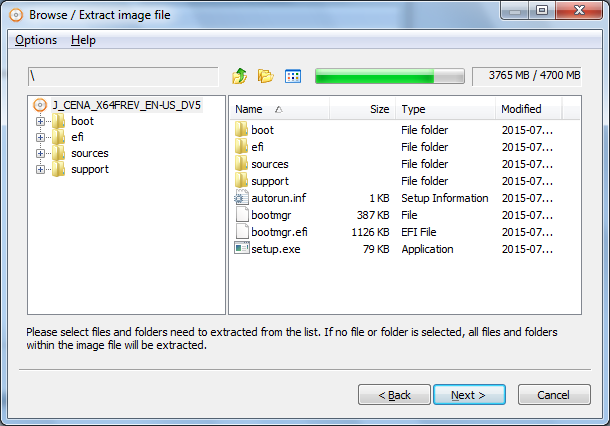 AnyBurn will list all files and folders within the image file. 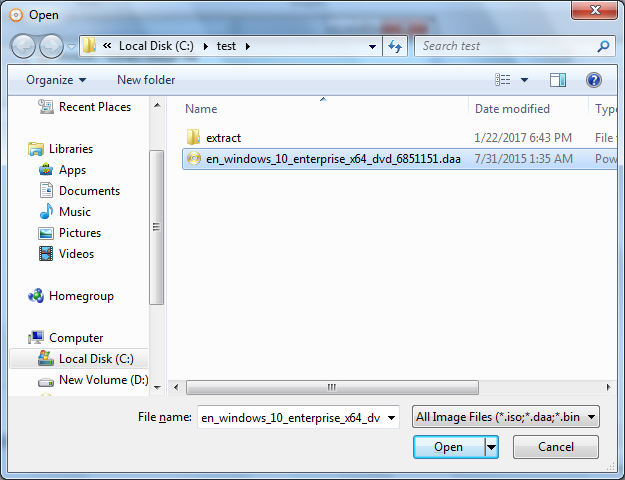 You can navigate around the folders and files in the image file. 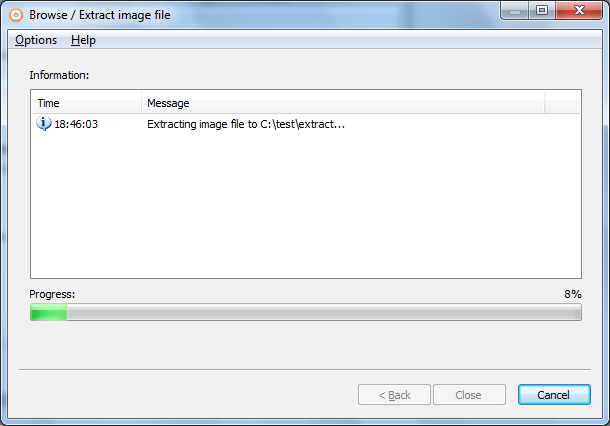 To extract image file, please select files and folers need to be extracted from the list. 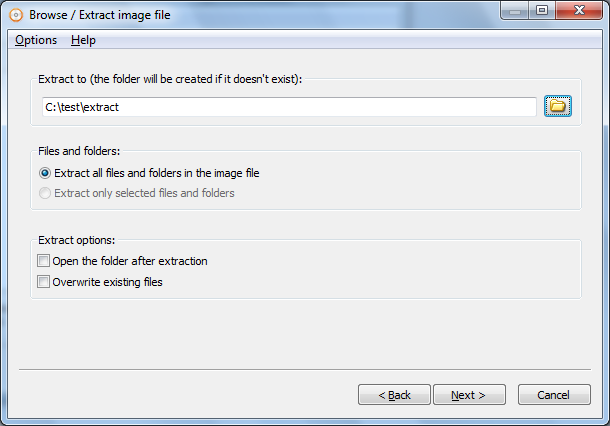 If no file or folder is selected, all files and folders within the image file will be extracted.